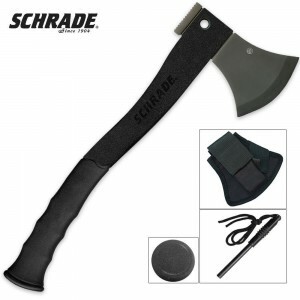 It doesn’t matter if you are looking for an hatchet that you can carry on the job or just to keep for home emergencies, Schrade has great models all at good prices. 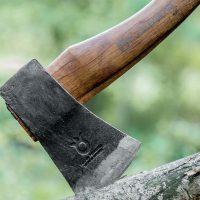 Even if it is just for the camping bag, the large survival hatchet is way too good to be true. 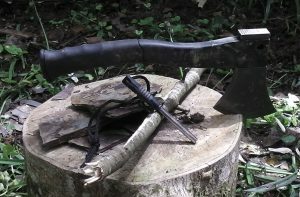 Sometimes a good survival knife is just not enough to do the job, unless that is all you have. So, why not plan ahead and make your life that much easier? 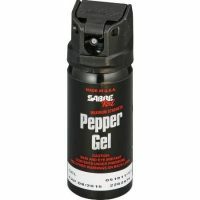 I decided to purchase the SCAXE2L. 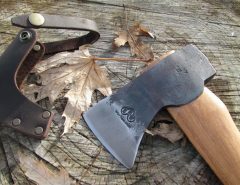 It is nearly 16 inches long and it is considered a large handled axe so it can be used with one or both hands. 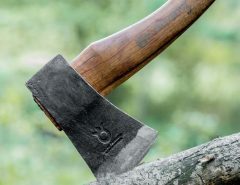 When I first picked up the SCAXE2L, I was pretty impressed with the attention to detail and the quality that Schrade really put into the design and engineering of this hatchet. 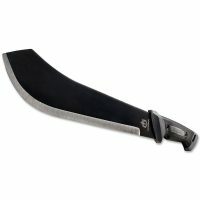 Yeah, it is no Gransfors Bruks, Wetterlings, or even a Benchmade, but then it also doesn’t cost you an arm and a leg to purchase it either. 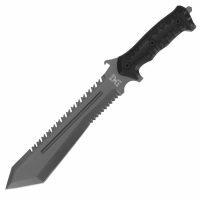 The titanium coated Stainless steel head and the glass reinforced handle that comes with the rubberized grip are sharp looking and stout. 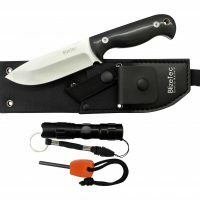 Even the XL Ferro rod and the nylon sheath aren’t that bad looking either. 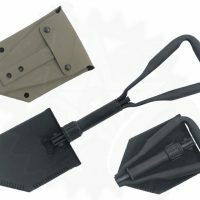 Once I had managed to wield if for a few minutes, it felt like it might be a bit on the heavy side for those who plan to use it with one hand for a long time without choking up on the handle. 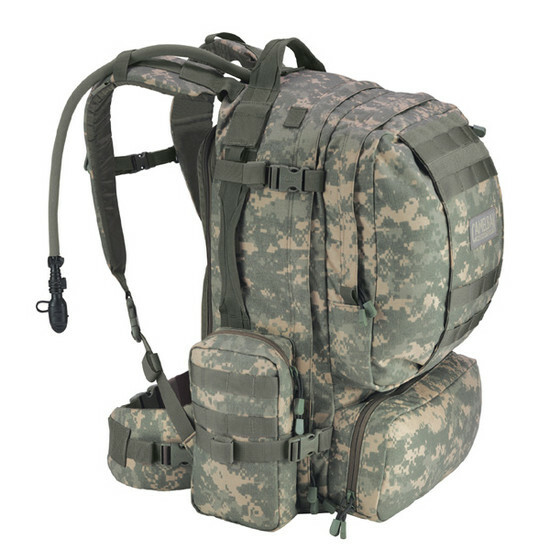 Although, it is sized perfectly for those who want to use two hands when you need to have more control and power. The only issue that I came across was related to the height of the grip. With two hands on the handle, the top hand will most likely give you a finger or more above the top of the grip. If you choke way up on the handle for single hand operations, you may land above the grip. 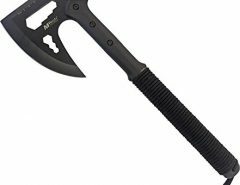 If you are wearing gloves, then this isn’t an issue, but if Schrade would have put more grip coating at least 3 inches further on the handle, it would have been absolutely perfect. 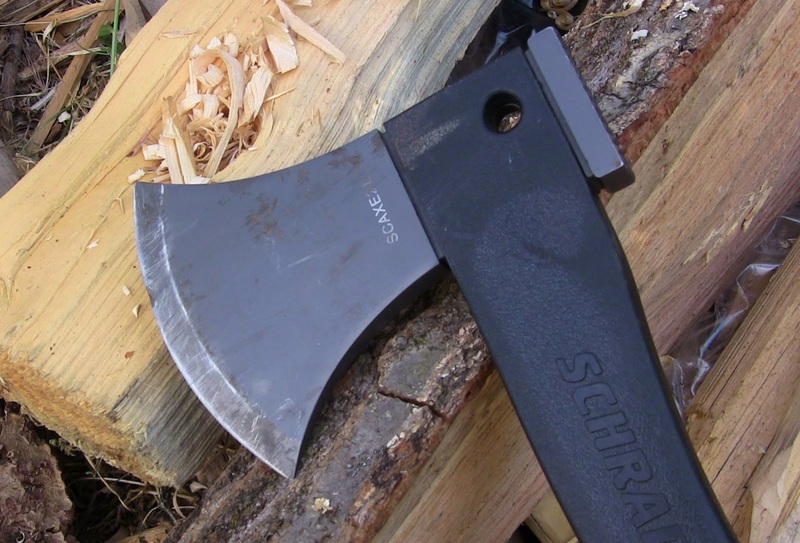 The SCAXE2L was sharp right out of the box, this is one of the things that I love about the Schrade products. They are always sharp and ready to go. 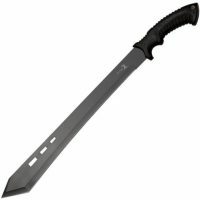 I just get bothered when I purchase survival equipment, it normally has to be sharpened before I can even try it out. Just thought I’d include this youtube video because it’s pretty cool. 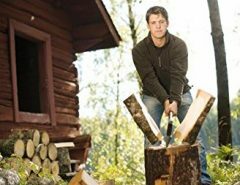 At this price point you should consider the Husqvarna Hatchet which is more of a traditional type hatchet. 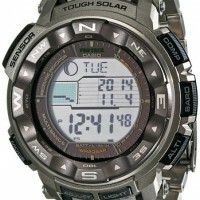 This is a mid-priced, fairly valued product. It can be bought at a good price from Amazon. 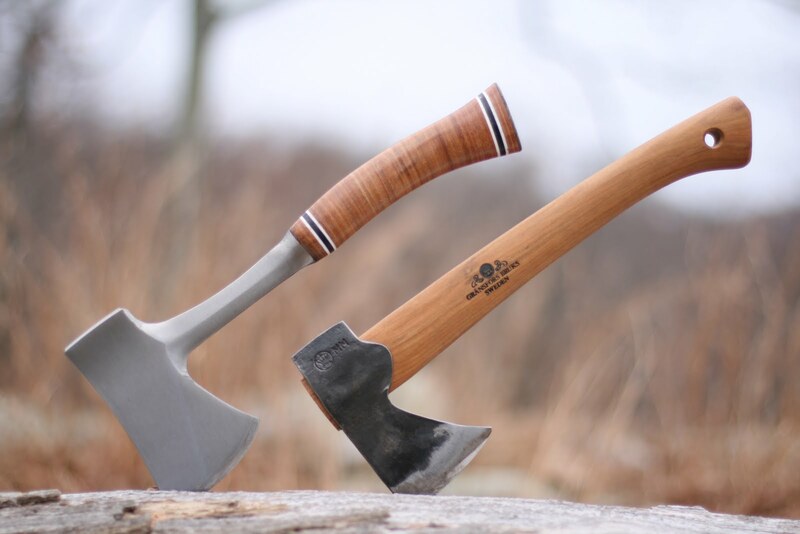 It is more expensive than the Fiskars x7 though, so that’s the another option you’ll want to look at. Not enough grip coating on the handle for two hands. I really enjoyed being able to put the SCAXE2L to the test. It was a great performer. 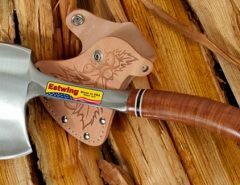 In many people’s eyes it could be considered the best camping hatchet because it has multiple functionality because of the fire starter. 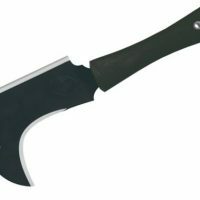 It isn’t the best cutting hatchet but it’s still really good. The SCAXE2L is a very versatile hatchet and it is tough enough to get the job done even under some of the most extreme survival conditions. 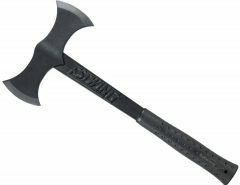 The stainless steel axe head and glass reinforced handle are rust resistant and are virtual indestructible, so it was built to last. It can be purchased here.